Will there be another “spring” in 2061? On February 12, 1949, two gunmen shot down 43-year-old Muslim Brotherhood founder Hasan al-Banna as he stood waiting for a taxi cab in Cairo. It was a classic revenge killing carried out with the tacit approval of the Egyptian government, which blamed Banna for the recent assassination of prime minister Mahmud Fihmi al-Nokrashi Pasha. The Pasha had been been gunned down two months earlier, by a 21-year-old fanatic from the Brotherhood. 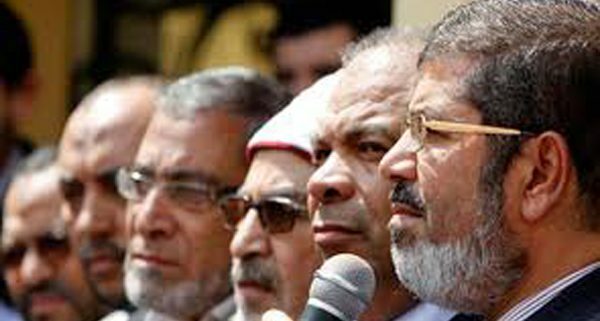 Egyptian authorities wrongly believed that by eliminating the party founder, they would rid themselves from headache of the Muslim Brotherhood. Cairo had not realized that the Muslim Brotherhood had long outgrown the cult figure of one man and would live long — longer than every Egyptian regime since then — long enough, in fact, to run for the parliamentary elections that are taking place in Egypt today, 62-years later. 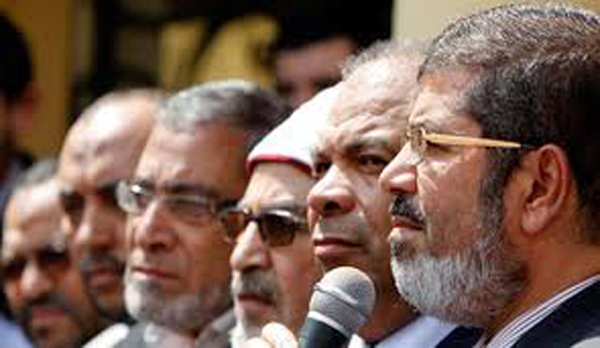 By all accounts, the Brotherhood are going to take the chamber and lead the next Egyptian government. They feel that it is a natural right, hard-earned after decades of work in the Arab underground. For better or for worse, this will spark off a domino effect throughout the Arab World where political Islam will be on the rise, through the ballots, rather than bullets. The Arab world holds its breath today, watching Egypt with incredible interest, as Egyptians go to the polls for the first time since downfall of the Mubarak regime last February. The first round of voting will be held on November 28-29. The second starts in mid-December and lasts until December 21. The third begins on January 3. Shura Council elections will follow on January 22, 2012. A Gallup poll in June 2011 showed that the Brotherhood had the support of 15% of surveyed Egyptian youth, while 60% of polled people were still registered as “undecided”. By July, a poll by the Doha-based al-Jazeera TV showed that 46% of people were going to vote for the Muslim Brotherhood, running under the banner of the Freedom and Justice Party. Additionally, 27% said they would vote for the smaller Islamic party, al-Nour. A moderate Islamic party, called Wasat, came in third with 6%. According to the prestigious Al-Ahram Center for Political and Strategic Studies (ACPSS), voter turnout is expected at approximately 80%. Only 17.7% of Egyptians polled by ACPSS said they would not vote this November. Of the decided voters, 39% said they would choose the Muslim Brotherhood. The downfall of the Mubarak regime breathed new life into Egyptian Islamic parties, which were heavily suppressed and persecuted by the ex-president’s security forces, for 30 or so years. 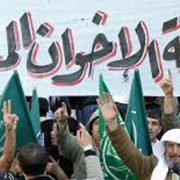 The Muslim Brotherhood, which seems to be on everybody’s radar these days, announced in mid-February that it would run under the banner of the newly formed Freedom and Justice Party. The Brotherhood’s legislative body appointed Mohamed Morsy as president of the new party, Essam al-Erian as vice president and Saad al-Katatny as secretary general. All of them, with little surprise, are former members of the Brotherhood’s Guidance Office, the highest religious authority in the Brotherhood. The Al-Wasat Party, a moderate Islamic one, was officially approved on February 19, around 15 years after it began operating illegally under Mubarak. Other Islamic parties include al-Nour, Fadila, and Asala Parties, which will be running on a joint list. In 1936 it had 800 members in Egypt. By 1948, this had risen to an impressive 500,000, with 2,000 branches in Egypt and across the Arab World. 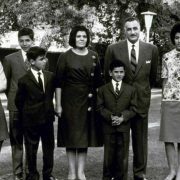 King Farouk, Gamal Abdul Nasser, and Anwar al-Sadat all flirted with the Brotherhood at certain points in their careers, but more often than not, persecuted the party and arrested its leaders, refusing to recognize them as powerful entities in Egyptian society. 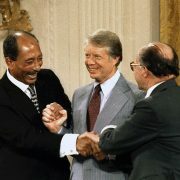 The same can be said of other leaders who suffered from a Brotherhood headache, ranging from Yasser Arafat who crushed the Brotherhood’s Palestinian branch Hamas, onto Saddam Hussein, who did the same with the Iraqi Islamic Party, and the Baathists in Syria, who fought two bloody wars with the Brotherhood in 1963 and 1982. In the Palestinian territories, Hamas is bracing itself for upcoming presidential elections in May 2012, planning to nominate Prime Minister Ismail Haniyah. A Brotherhood victory in Egypt will play out in their favor rather dramatically, given the bond between Egypt’s Brotherhood and Hamas, and Egypt’s proximity to the Gaza Strip. 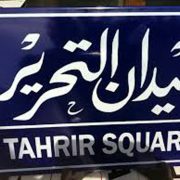 Hamas spokesman Taher al-Nunu acknowledged that a Brotherhood Egypt would be a God-send for the Islamists in Gaza, saying: “We have the same ethics as the Muslim Brotherhood, the principles are the same!” In Tunisia, a moderate Islamic party, Ennahda, won parliamentary elections last October, raising cheers from the Egyptian Brotherhood. Over the weekend the Islamists scored a similar victory in Morocco, where the Justice and Development Party emerged victorious in parliamentary elections. In Libya, the Muslim Brotherhood held its first public congress in Benghazi this November, celebrating a political right long denied to them by Colonel Muammar Gaddafi. Present in at the event were members of the Libyan Transitional Council, Islamic Affairs Minister Salem al-Sheikhli and Defense Minister Jalal al-Degheili. Hours after Gaddafi’s fall, Council Chairman Mustapha Abdul Jalil said that Libya would be ruled by Islamic Sharia, ordering that Libya’s banking sector would be Sharia-driven. 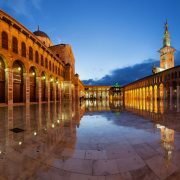 In Syria, the Brotherhood was active in public life since the 1930s but officially outlawed when the Baathists came to power in 1963. A 1980 law still stands, which says that affiliation with the group is a capital offense, punishable by death. The Brotherhood, however, is strongly represented in the Syrian National Congress (SNC), a coalition of opposition parties established last August. They have been touring the world recently, for red carpet audiences with the leaders of France, Russia, and Turkey. All of these parties are undoubtedly inspired by the Justice and Development Party in Turkey (AKP), whose founders are all close, ideologically and politically, to the Egyptian Brotherhood. The Egyptian Brotherhood, just like Hamas, has matured with age, and realizes that in order to rule, it needs to be both pragmatic and democratic, and needs to do so through a coalition, just like the case in Tunisia. The Ennahda group simply cannot run the country without support of the seculars and other Tunisian parties. 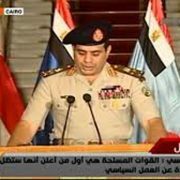 It cannot be another Zein al-Abidin Ben Ali, even if it wanted, and nor can the Egyptian Brotherhood be another Mubarak. Hamas has mellowed down tremendously in recent years, accepting, for example, a Palestinian State on the terms of the 1967 borders. By running for the next elections of 2012, it effectively is legitimizing the Oslo Accords, which it fought vigorously in 1993. In Egypt, for example, Banna used to say that women cannot assume government office, whereas the party today is saying that it does not mind appointing women ministers, although it still believes that they would be “unsuitable” for the presidency. The group supports free-market capitalism, but without “manipulation or monopoly,” although this would have been unheard of in the past. The party’s political program includes tourism as a main source of national income, a statement we would not have found in any Brotherhood rhetoric from the 1950s or 1980s. The future of the Arab World, whether seculars like it or not, is going to be in the hands of Islamic parties— at least — for the foreseeable future. This trend, just like Arab nationalism before it, will not last forever. It has reached its zenith today, but pretty soon, the Islamists will get corrupted by power, just like seculars were corrupted before them. We cannot predict that for sure, but this has been the cycle of history to date. Look at the Baathists before coming to power in Syria and look at them today, 48-years later. Look at the leaders of Fateh before 1993 and judge them today, almost 20-years later. Look at Iraqi Baathists before 1968 and look at them in the 1980s, during the heyday of Saddam Hussein’s era. But that is not going to happen anytime soon. The Islamists need to reach power, taste it, love it, get attached to it, become corrupted by it, fight to hold on to it, and eventually, get overthrown because of it – perhaps when another Arab Spring breaks out, 50-years from now. That Arab Spring, no doubt, would be through the ballots unlike this one which came through the street. Future governments that lose a popular mandate will not be allowed to stay in power after their political legitimacy expires. http://samimoubayed.com/wp-content/uploads/2016/09/images-2.jpg 348 600 Sami Moubayed http://samimoubayed.com/wp-content/uploads/2016/08/logo2.png Sami Moubayed2011-11-29 14:37:542016-09-13 14:41:38Will there be another "spring" in 2061?